Ginger – thanks a million for your continued support and willingness to share your thoughts and experiences with others! Really appreciate it. Your question about the readiness of Power BI Designer versus the traditional Excel Power * experiences is a fair one. Ultimately you should judge us on what we deliver to the market. But please hang in there with us. I assure you that you’re going to see Power BI Designer rapidly catch and the even more rapidly surpass in a very big way what we’ve been able to achieve inside Excel. We’re about to push out this month’s update which adds DAX measures and a host of new features. And you’ll see that happen every month. We’re in the middle of a fundamental shift in some of the underlying technology, but we’ll be through that in the next couple of months. From there the sky is the limit. We’re deadly serious about maturing this and FAST. Hold us to it. James – Thank you so much for your feedback on Microsoft’s plans for Power BI Designer. 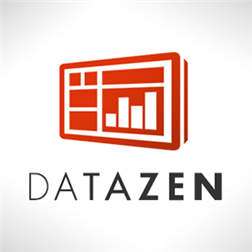 Using history is a guide, I believe that Microsoft definitely will catch up in the data visualization space, and I hope DataZen helps in that goal. I look forward to using the new DAX measures which you mentioned as it is features like that which I missed when using Designer. I plan on continuing to use Power BI Designer and look forward to being able to update Microsoft’s progress with the tool in an upcoming post. Thanks for the insights. One of the struggle points I see is how to currently position or promote a Power BI offering for potential customers. It’s apparent that the features and capabilities in terms of dashboarding and visualizations in Power BI Designer preview exceed the current capabilities of Power View in Excel, but are not a close match yet to the Power Query features as part of the Excel add-on (despite more data connectivity such as Google Analytics). Tableau 9.0 in terms of self-service ETL and data mashing doesn’t even come close to the capabilities exposed through Power Query and the M language. Bringing in DAX hopefully also goes hand in hand with the capabilities of being able to enhance the model for Q&A. Would be great if there is more detail on roadmap and what’s coming so we can convince customers to get onboard now, knowing that the investments they make won’t be lost over the next couple of months.